Last week we posted over 600 screencaps of Tom Ellis in the 7th Episode of Monday Monday. This week it’s time for the final episode, episode 7! This post might take a few seconds to load due to the amount of screencaps. This entry was posted in Screencaps, Throwback Tom, Tom Ellis and tagged Monday Monday, Screencaps, Steven McColl, Tom Ellis on September 13, 2018 by About Tom Ellis. Last week we posted over 600 screencaps of Tom Ellis in the 5th Episode of Monday Monday. This week it’s time for episode 6! This entry was posted in Screencaps, Throwback Tom, Tom Ellis and tagged Monday Monday, Screencaps, Steven McColl, Tom Ellis on September 6, 2018 by About Tom Ellis. 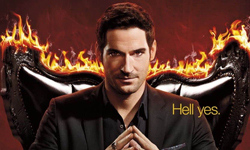 This entry was posted in Screencaps, Throwback Tom, Tom Ellis and tagged Monday Monday, Screencaps, Steven McColl, Tom Ellis on August 30, 2018 by About Tom Ellis. 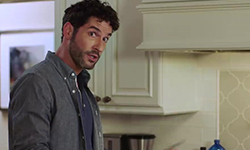 Last week we posted over 1400 screencaps of Tom Ellis in the second Episode of Monday Monday. This week it’s time for episode three! This entry was posted in Screencaps, Throwback Tom, Tom Ellis and tagged Monday Monday, Screencaps, Steven McColl, Tom Ellis on August 16, 2018 by About Tom Ellis. 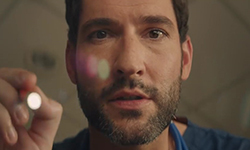 Last week we posted over 950 screencaps of Tom Ellis in the first Episode of Monday Monday. This week it’s time for episode Two! This entry was posted in Screencaps, Throwback Tom, Tom Ellis and tagged Monday Monday, Screencaps, Steven McColl, Tom Ellis on August 9, 2018 by About Tom Ellis. Monday Monday was a TV comedy/drama originally broadcasted on ITV (UK). It stars Tom Ellis and Fay Ripley, Jenny Agutter, Neil Stuke, Holly Aird, Morven Christie, and Miranda Hart. This entry was posted in Screencaps, Throwback Tom, Tom Ellis and tagged Monday Monday, Screencaps, Steven McColl, Tom Ellis on August 2, 2018 by About Tom Ellis.